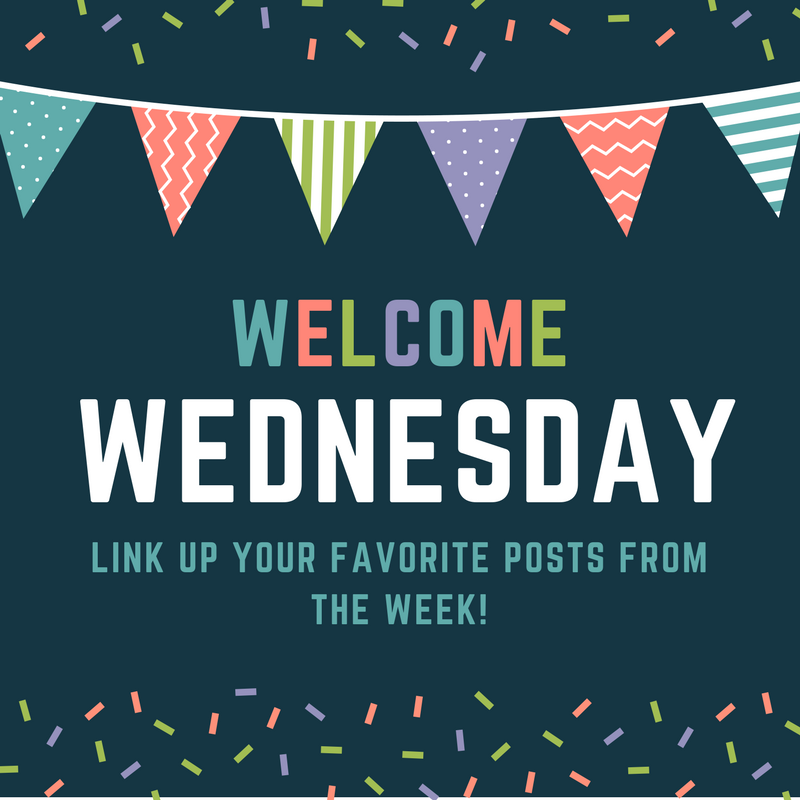 I am so excited to share this with you today! 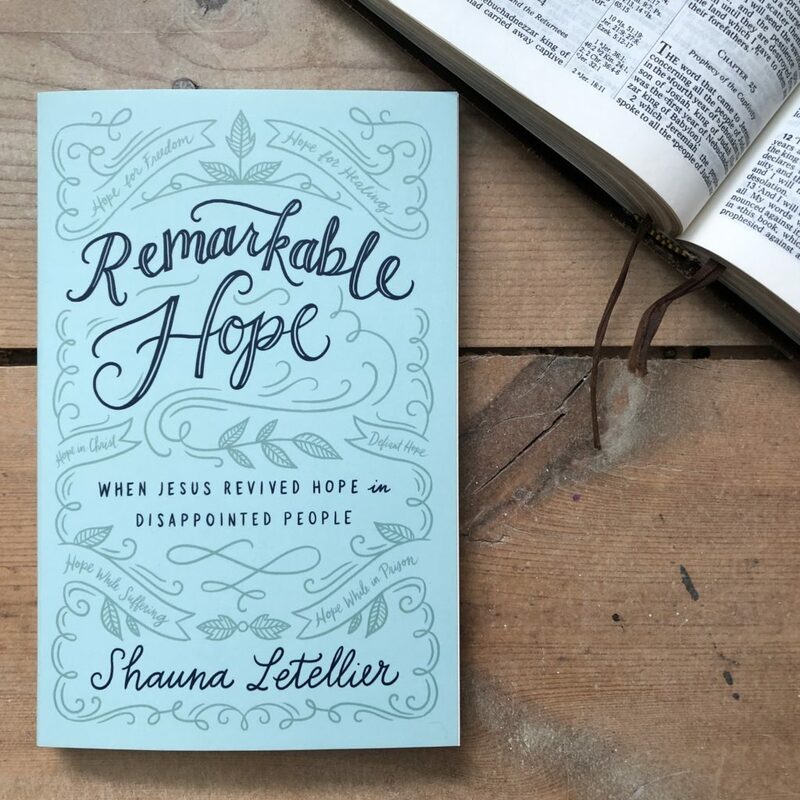 I’ve met Shauna through a couple of different writing online groups, but when her 2nd book came out I preordered it right away – excited to read about HOPE. You see, God is doing a work in my heart when it comes to hope. I’ve always been afraid of hoping too much. Do you struggle with hoping too much? For example, I’ve struggled with hoping for GRAND things to happen. I’ve tried to live a quiet, un-interesting life, but God keeps pushing me out into the deep end of life, asking me to trust Him. Just like Peter, sometimes I jump out of the boat right away and then start sinking because I start to look around. I stop hoping. Shauna’s book brought life back to my soul! I love reading the familiar Bible stories I’ve known all my life – but from a different perspective. That’s why I loved hearing Shauna’s heart behind the retelling of some of the most familiar stories. When life (and sometimes God) feels like it is a disappointment, God is there – to show us a different, better way. 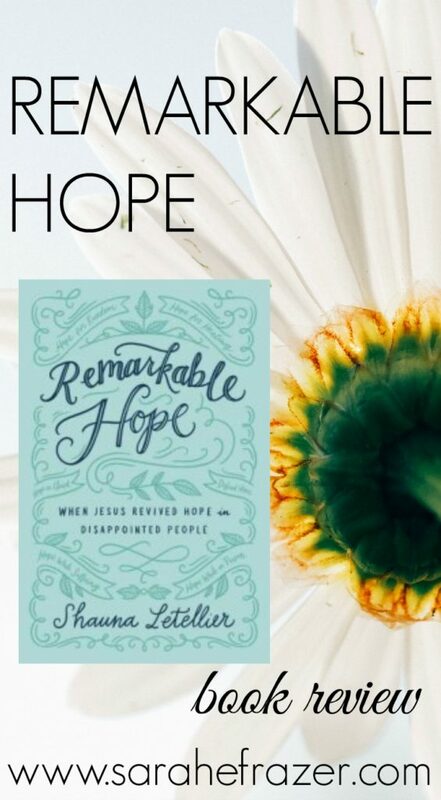 I’d really challenge you to purchase Shauna’s book: Remarkable Hope for yourself! Here is a little excerpt…. Hope. We use the word every day. With the best intentions we cast pleasant desires for ourselves and our friends into the air to vanish. We mean well, but we have precious little control over outcomes. Our metaphors are also colored with unlikelihood. “Dashed hope” gives way to the announcement that the situation is “beyond hope.” Even when we speak positively, hope is a small glimmer, a singular ray, or a fine shred. It is a strange and sad irony that our well-wishes are thin and unreliable. In devastation and unmet expectations, we may mistakenly conclude that our hope in Christ is as slippery as the rain we were hoping not to get. Biblical hope is expectant certainty. It is knowing that Christ guarantees everything he has promised and purchased. When Paul prayed for the church in the city of Ephesus he said, “I pray that the eyes of your heart may be enlightened in order that you may know the hope to which he has called you.” That kind of hope is no evaporating well-wish. It is absolute–a hope that does not put us to shame. Throughout the gospels Jesus transformed disappointment into unexpected gifts. To read the stories is to be continually surprised by God’s drastic and surprising methods. His work was rarely what anyone anticipated, but it was always immeasurably more than any of them could have asked or imagined. And because He doesn’t change, we can expect the unexpected, and prepare to have our hope in him revived. 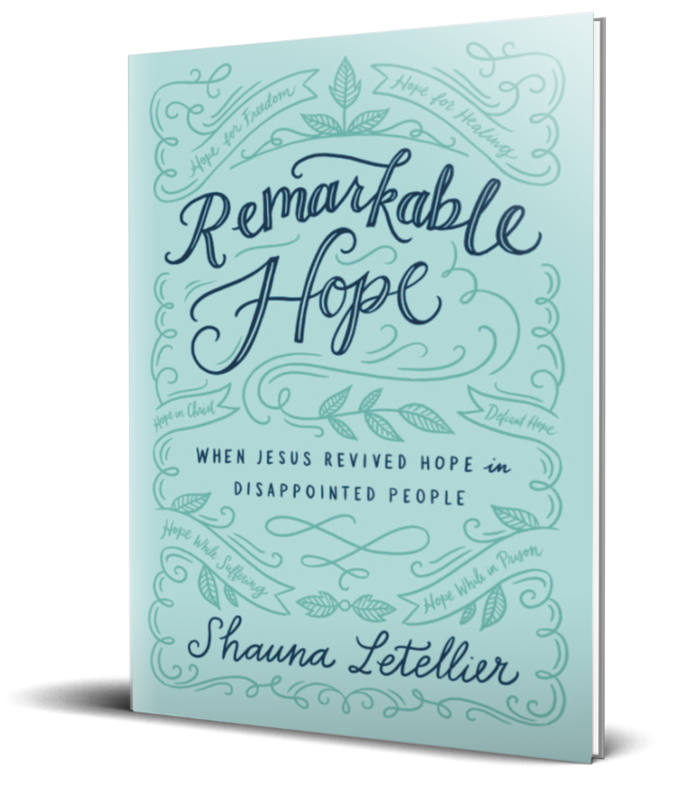 Shauna Letellier is the author of Remarkable Hope: When Jesus Revived Hope in Disappointed People. Drawing upon her degree in Biblical Studies, she weaves strands of history, theology, and fictional detail into a fresh retelling of familiar Bible stories in her books and on her blog. With her husband Kurt, she has the wild and hilarious privilege of raising three boys along the banks of the Missouri River where they fish, swim, and rush off to ball games. Win a copy!!! From March 13-19 (2019) you can have a chance to win a FREE copy! Enter below!